Trading platform is taking a new level, which includes flexibility. Accessing information about clients and trading using the mobile devices keep on rising. Brokers and traders are betting huge on the coming days. These days, every online broker has its own resources and technologies, which have contributed towards the mobile development. There is an instant development in the field of social media. People start rapidly using the Snapchat, Instagram and much more, enticing a lot of users worldwide. Nowadays, the social media’s usage carries on to raise steeply that has given a birth to top 10 mobile trading apps 2016. Top 10 mobile trading apps 2016: What is all about? Online brokers are gambling that the investment in the mobile trading is not only about looking at a portfolio, handling a basic watch list and betting on simple trades. There is more to explore from the mobile trading platform. They want to carry out the complete trading experience to mobile devices, which include advanced order types, trade tools, complex options, detailed charting, cloud syncing and a lot more. So, the apps are designed to enhance the investors experience to a great extent. Every trader loves to trade using mobiles, if they have any special apps installed in their devices. In order to give them enhanced experience by using the mobile technology for trading purposes, the best mobile trading apps must be considered. Which are the top 10 mobile trading apps 2016? FuturesLive Best Day Trading Mobile App : It is one of the simplest apps, which makes it the best and useful app than others. If you belong to commodity trading platform, of course, you are often in a need of future quotes. It is not an easy task to find the best app designed for commodity platform in a sea of countless apps for stock traders. This app is the best way to get future quotes from different exchanges, arranged by simple to understand categories such as livestock, metals and energy. It gives you the quotes at any time, according to your needs. StockTwists Mobile Stock Trading: It acts like Twitter for most of the traders. After downloading it, you can read the activities or responses of traders to different market conditions, using real time feature. It will help you in interacting with amateur traders. It offers you Twitter style feed, and you can also get benefit from the videos and post charts provided by traders. These features offer free technical analysis. It is available free of cost and the best suited app for a day or a short term trader. Bloomberg: In order to stick to the constant news and current events of the stock market, this app is a reliable way. It is a choice among professional traders. It offers you the world and current financial news, even the graphs and stock quotes. It also provides push notifications for current or breaking news. Investopedia: Of course, the stock market has also its language, making things more complicated, when you start getting indulged into different fields. Using Investopedia app can give you a support to start with the stock trading in a perfect way. It places the most searched terms of a website always the within the reach, everything starting from basic things, like broker, commodity, margin and much more. It also includes many complicated terms, like debenture, tranche and value at risk. Stock Guru: If you have an Apple device like iPad, then it is the best app for you. Stock Guru App is specialized ones for iPad devices. It serves as a robust engine, which can offer real time analysis for closely 7000 stocks. With this app, one can have a chance to analyze momentum, risk, a proprietary guru rating and financial strength that collects all of the data for those traders, who do not have an interest in getting into details. AnalystRT: It is a tendency that several investors depend on their research to take some decisions. If you like to include a research process in trading, then this app is a worthy for you. It involves analyst’s ratings for many stocks. 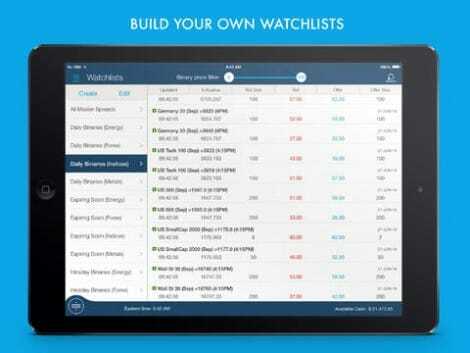 With this app, you can have an opportunity to prepare a watch list for different stocks, which you are buying. Stocktouch: If you want to use heat maps to get better options, then this app is available for you. This app makes use of color coded maps of the best stocks in many primary sectors. This app uses the coded maps to assist you in realizing the ups and downs of the stock market in a perfect and easy to understand approach. E-Trade Mobile: This app has an easy to use interface, which works to execute trades in a quick manner. Within this app, you can use voice search based feature so that you can easily find particular company data or stocks, based on your needs and preferences. Using this app can help you in moving money into and out of the bank account. TD Ameritrade Mobile: This app also lets you track, purchase and sell. It has some differences from other apps. Within this app, you can scan a barcode and search about the public company offering the product. OptionsHouse: It comes with a free service, giving you OptionsHouse account. It gives you real time and unfettered access to your account from any part of the world. With this iOS based app, you can trade, cancel order, keep up to date with news and prepare watch lists with the OptionsHouse. So, these are top 10 mobile trading apps 2016, which you can use to enhance the trading experience without any hassle.